Oh hi there! 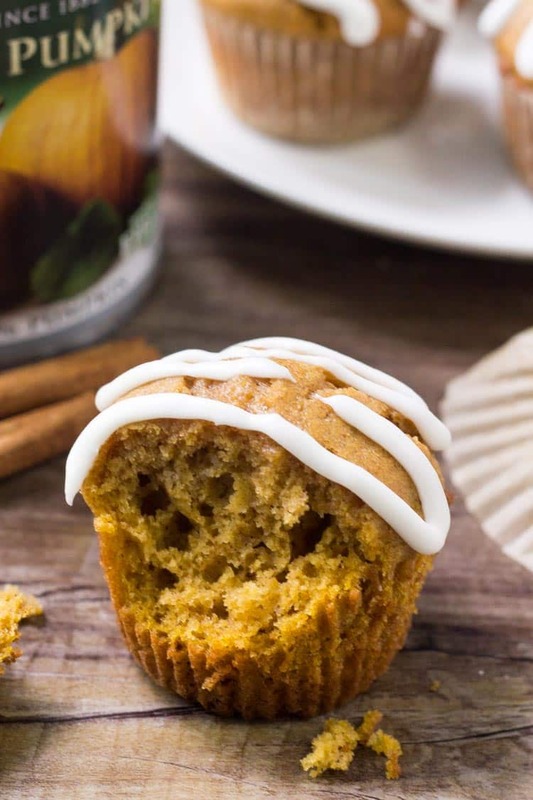 It’s Fiona from Just So Tasty, and today I’m stopping in to share these pumpkin muffins with cream cheese glaze. They’re moist, filled with all the flavors of pumpkin pie, and drizzled with cream cheese glaze to make them extra special. They’re so delicious & perfect for fall – whether you’re excited for the seasons changing or not. I used to always dread fall because it meant the temperatures would drop and the excitement of summer was coming to an end. But nowadays, I’ve started to embrace the fall months. Fall means I have the perfect excuse to bake – and that means EVERYTHING pumpkin. Who’s with me???? 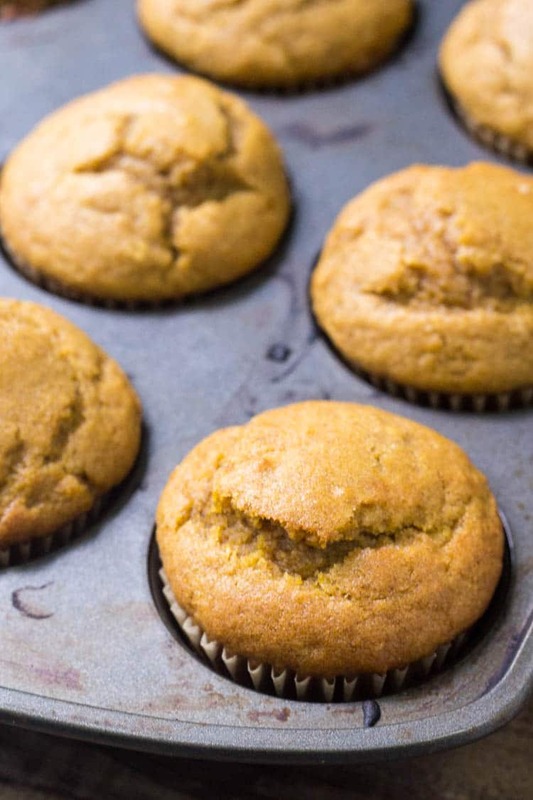 The pumpkin muffins come together in no time, and there’s no mixer needed. So it’s definitely an easy muffin recipe. Then the cream cheese glaze makes them just a little extra special. To make the cream cheese glaze we simply whisk together some cream cheese, milk & powdered sugar. Then drizzle it over the top of each muffin. The tangy taste of the cream cheese tastes delicious with the pumpkin spice flavor of the muffins. These muffins are delicious for breakfast, a mid-morning snack or afternoon treat. And with a delicious mug of coffee – you definitely can’t go wrong. 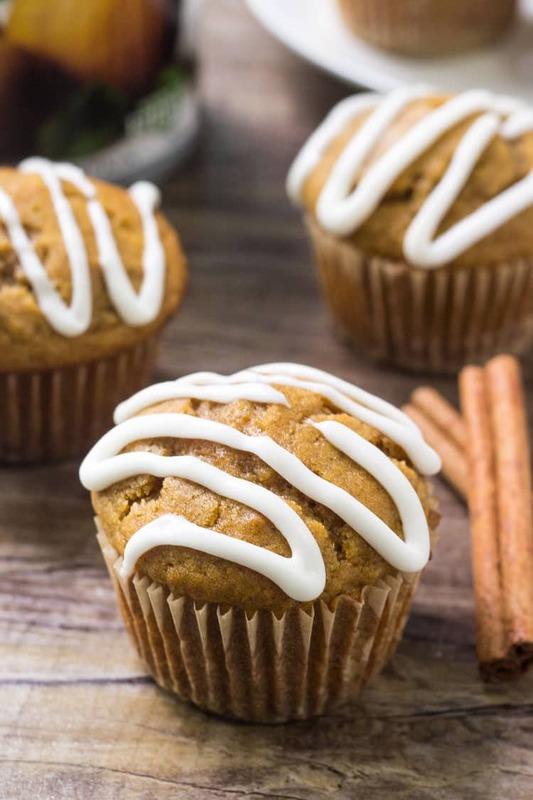 Because these pumpkin muffins with cream cheese glaze are the perfect recipe for fall. 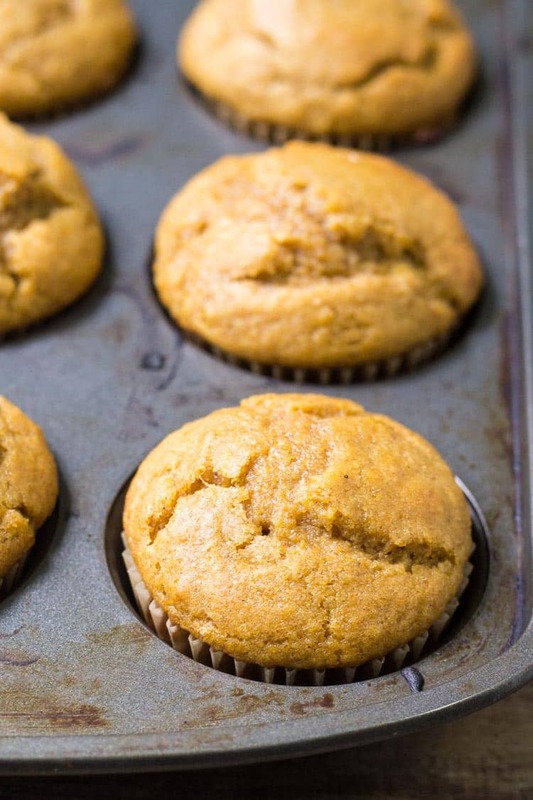 If you love baking with pumpkin – make sure to try these other fall favorites too! 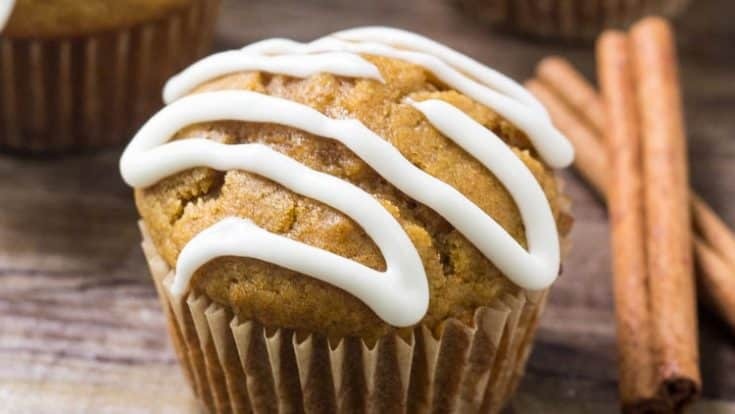 These pumpkin muffins with cream cheese glaze are moist, fluffy & filled with fall flavors. The perfect breakfast for fall! Preheat the oven to 375F degrees and line a muffin pan with muffin papers. In a medium bowl whisk together the flour, baking powder, baking soda, salt, pumpkin pie spice and cinnamon. In a large bowl beat together the oil, sugars, eggs, sour cream and pumpkin puree. Then fold in the flour mixture being careful not to over mix the batter. Spoon into the prepared muffin pan. Then in a small bowl whisk together the cream cheese, powdered sugar and milk. Drizzle on top of each muffin.